WHILE serving his national service after finishing his polytechnic studies in 2014, Mr Aylward Lim Yi De was in a quandary about what to do next. Should he start working full-time or further his education? 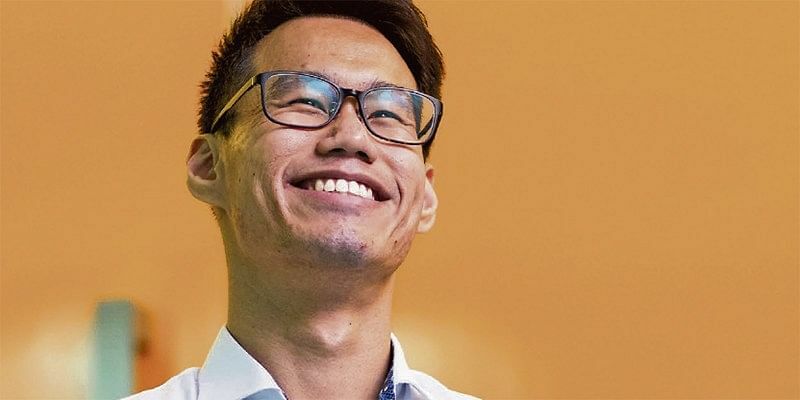 Says Mr Lim, 26 : “I knew that university tuition fees were going to be high, and I did not want to burden my parents with the cost.” While researching online for ways to finance his university education, he chanced upon the Singapore-Industry Scholarship (SgIS). The scholarship was launched in 2012 by the Ministry of Education (MOE) in partnership with the Singapore Economic Development Board (EDB) and other government agencies as a talent development initiative. 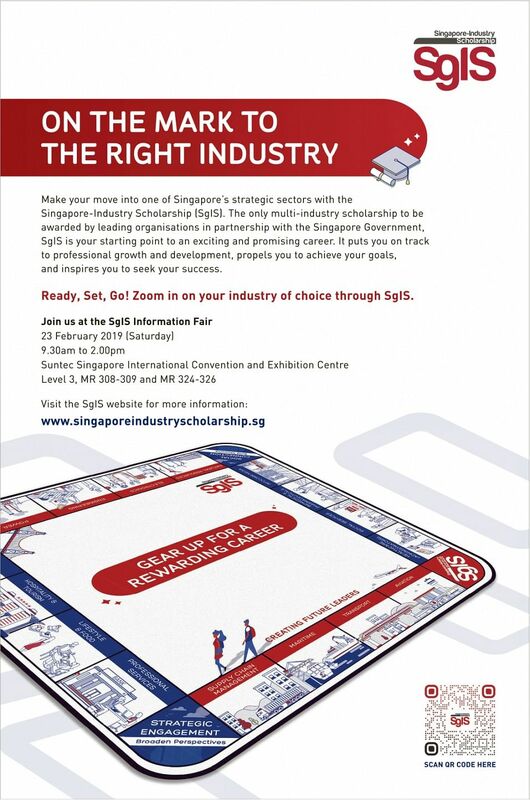 Singapore citizens can apply for SgIS local and overseas scholarships at different stages of their university education. Each sponsoring organisation has its respective set of criteria and qualities when looking for a candidate. Applicants can select preferred sponsoring organisations when they submit their application online. 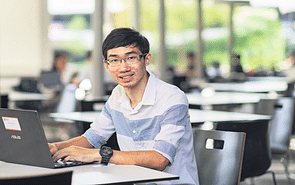 Mr Lim applied for and was awarded the SgIS scholarship in 2014. Sponsoring company M1 covered his tuition and hostel fees at Nanyang Technological University (NTU), and also paid for a computer and living allowances. 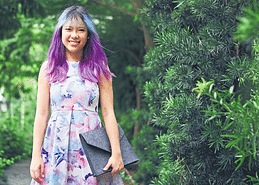 As he had read Business Administration at Singapore Polytechnic, he decided to further his studies in the same field. Despite his knowledge of the industry, he had to adjust to the pace of learning at the university. He says: “The speed, rigour, depth and breadth of the university curriculum were different from that of the polytechnic. “I tried to overcome these challenges by trying different study techniques and asking more questions during lessons.” He also clarified his doubts with friends or group mates, sought his seniors’ advice and tested his knowledge by working on previous years’ exam papers. To ensure that their projects were on track, Mr Lim and his coursemates made it a point to understand the requirements of group projects and held discussions with their professors. He says: “We rehearsed our presentations together to familiarise ourselves with each other’s roles and ensure we did not exceed the time limit. We also tweaked our content and slides where necessary.” Apart from studying hard, Mr Lim was active in several committees and participated in the National HR Case Competition 2016, in which his group emerged as one of the six finalists. As chief group leader of his freshmen orientation group, he organised dinners, gatherings, birthday celebrations and hall activities. He also helped to plan the following year’s freshmen orientation camp. He adds: “As I wanted to see what it feels like to be an entrepreneur, I joined my hall’s production committee as a ‘business manager’. Together with other ‘business managers’, we spearheaded numerous fund-raising activities for my hall’s musical production that year.” These extra-curricular experiences gave him a taste of leadership and inspired him to do greater things in his career. During his third year at NTU, Mr Lim spent 10 weeks as an intern with M1. The scholar recalls: “I kept an open mind and stayed humble so I could absorb as much as possible. The internship taught me to be quick, decisive and adaptable — crucial qualities needed in the telecommunications industry where technological disruption is changing the way we work.”. He joined M1 full-time in May last year as a marketing executive. As part of the fibre broadband and fixed services team, he conducts market research and prepares stock forecasts. He has also been involved in various IT shows. The Singapore Garena Campus League (SGCL) tournament held last July, which saw teams from different schools challenging one another through the League of Legends (LoL) game, was a career highlight for Mr Lim. As M1 was the main sponsor, Mr Lim had the opportunity to plan and execute on-ground engagement activities during the grand finals held at *SCAPE on Orchard Link. He says: “It was my first time taking charge of such a largescale event. In addition to marketing and running the event, I worked on activities to engage LoL fans such as an online word contest. I also set up an arcade booth at the tournament finals.” He was thrilled with the 600- strong turnout, which was twice the number of people expected.